Business is booming for our wide area digital two way radio network TalkPlus! 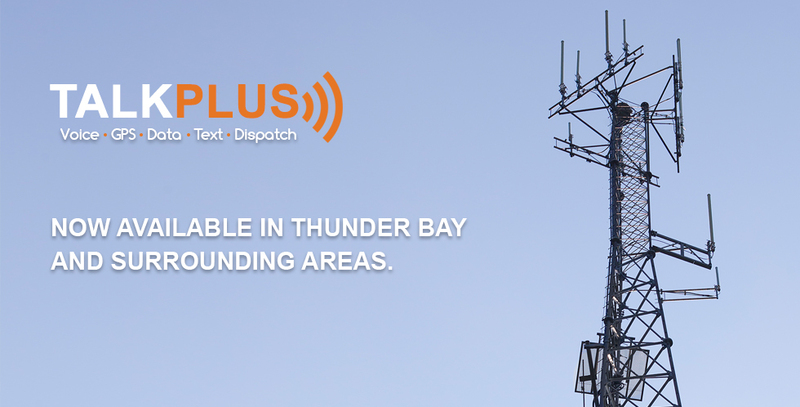 So much so that we have invested in a brand new telecommunications tower for Thunder Bay and surrounding areas. Driven by an extraordinary response from industry we have accelerated our plans to expand our network. Our network started in Sudbury and North Bay 2 years ago with 2 sites and has since exploded with coverage to Sault Ste Marie and Timmins. We now have 12 sites with plans to add 6 more over the next year. Customers are benefiting from our wide area coverage that enables them to instantly PTT their fleet from one city to another. GPS tracking without the need for additional hardware or carrier bills provides our customers with improved safety and productivity. “We never anticipated this much of a response from business. We knew that this would be a great product and service for our customers but the growth has been tremendous. We’ve had multiple customers trade in their costly and distracting smart phones for the reliability and safety of digital two way radios. Likewise, for their AVL GPS tracking solutions. We never would have predicted that and we are very excited to offer this service to both existing and new customers in Thunder Bay” says Geoffrey Hatton, President & CEO, Spectrum Telecom Group Ltd.